We are happy to announce IWA's Quarterly Print Publication IWA Dhwani. 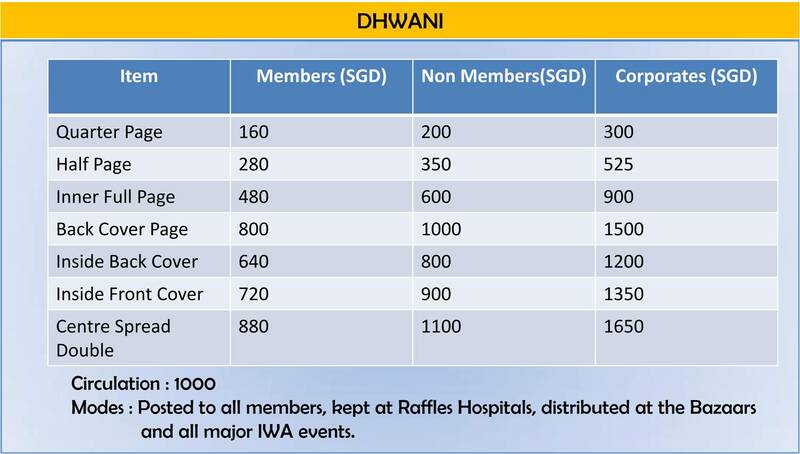 IWA Dhwani will be distributed to all our members, associate organizations, event attendees & bazaar visitors. It poses an excellent platform to reach out to Indian Women in Singapore. Please write to editor@iwasingapore.org to book your advertisement space.